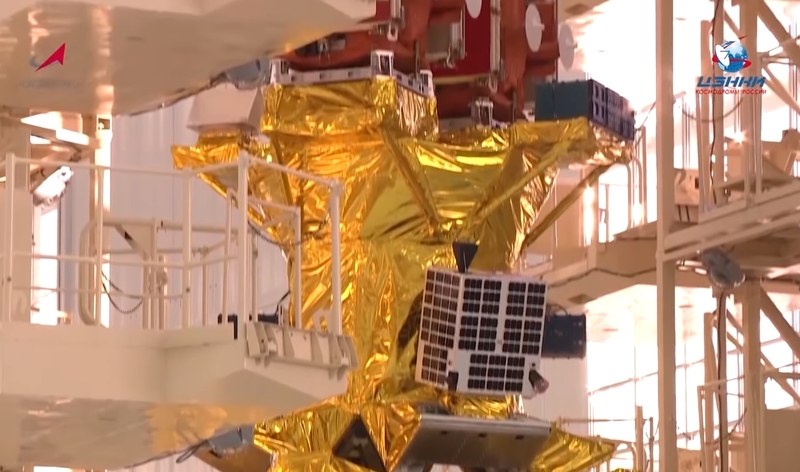 Soyuz-2.1 a" wurde in den Startkomplex des Kosmodals gebracht #Восточный und auf dem Startsystem installiert. Der Start ist für den 27. Dezember 2018 geplant. 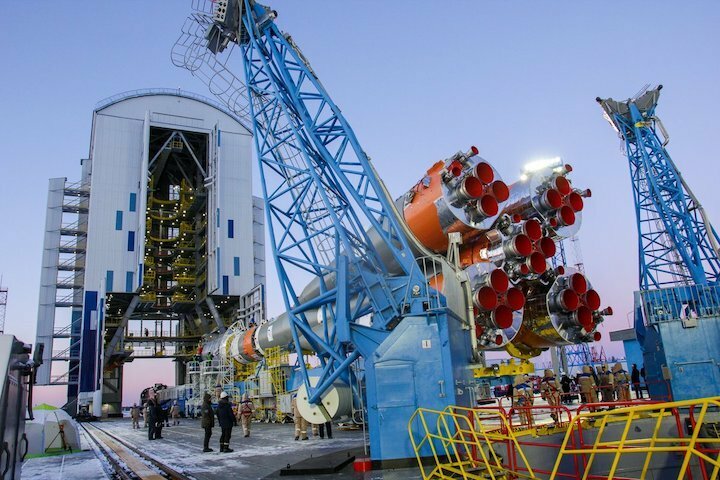 A Soyuz-2.1a carrier rocket has been installed on the Vostochny spaceport’s launch pad, a TASS correspondent reported. 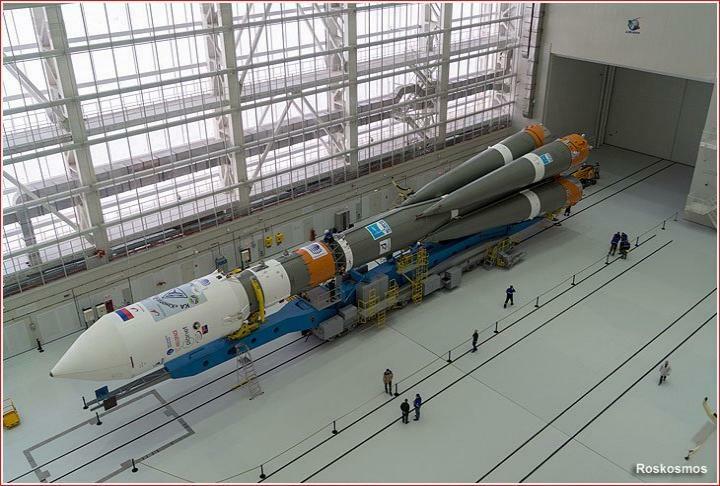 The rocket carrying the Kanopus-V-5 and 6 remote sensing satellites and 26 foreign satellites is scheduled to be launched on December 27. 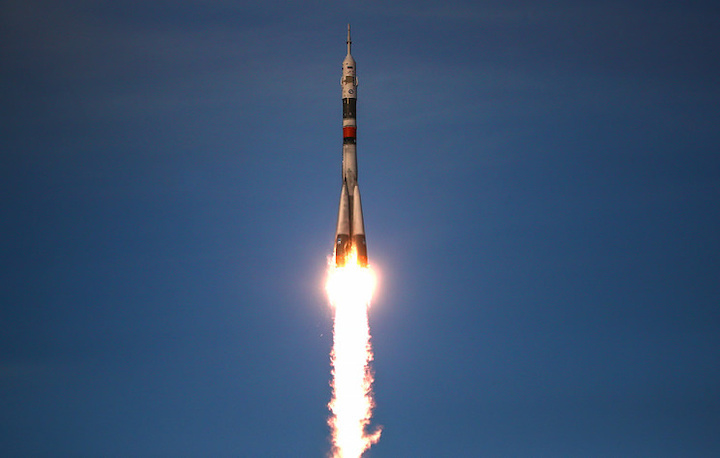 The testing of the Kanopus-V satellites was successfully completed earlier. 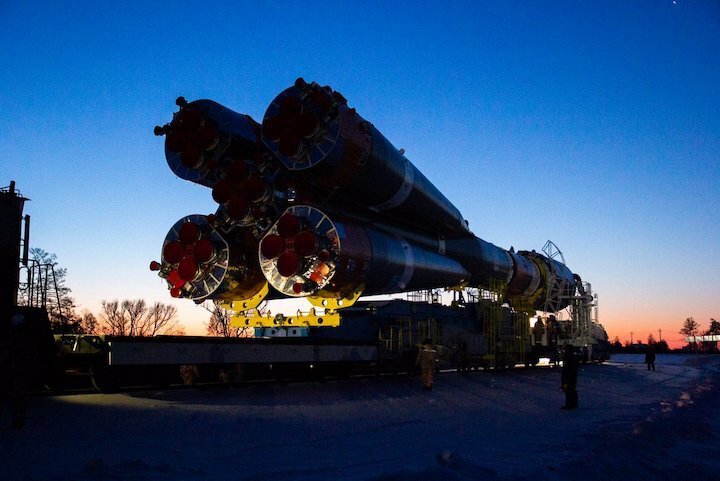 Apart from Russia’s Kanopus-V satellites, the Soyuz-2.1a carrier rocket will also deliver to orbit German, Spanish, US, South African and Japanese satellites. 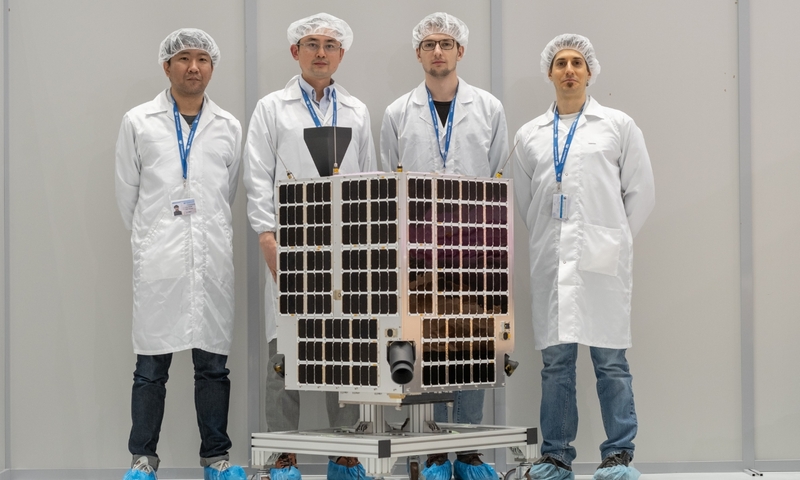 The Kanopus-V satellites are designed to monitor man-made and natural disasters. 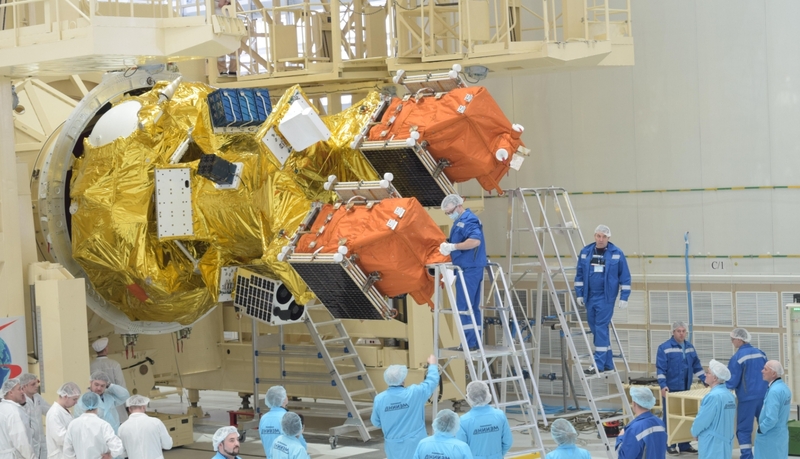 Using several satellites at a time will make it possible to increase the monitoring frequency and accelerate access to information from the satellites. 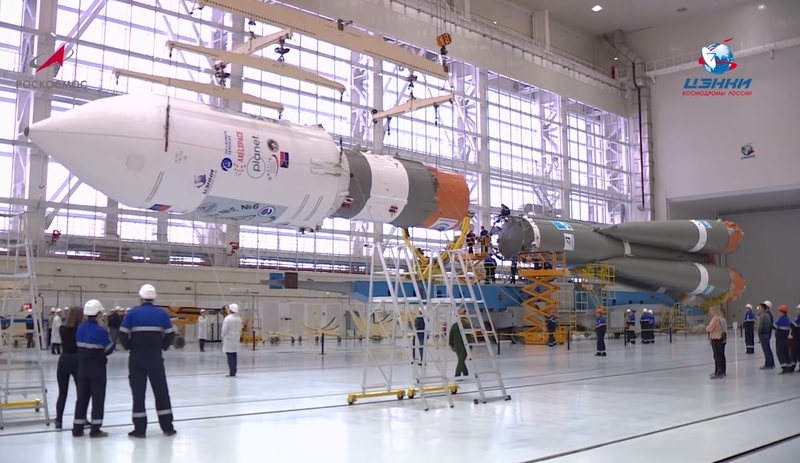 This is going to be the fourth launch from the Vostochny spaceport in Russia’s Far East. 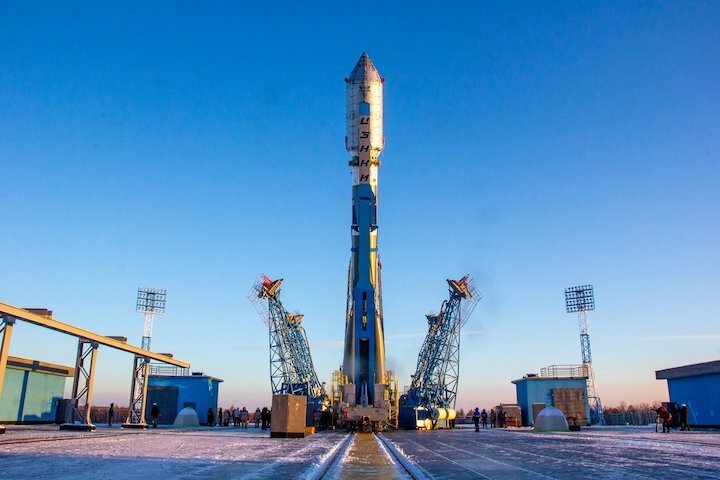 The previous launch took place on February 1, 2018, when a Soyuz-2.1a rocket delivered to orbit the Kanopus-V-3 and 4 satellites. 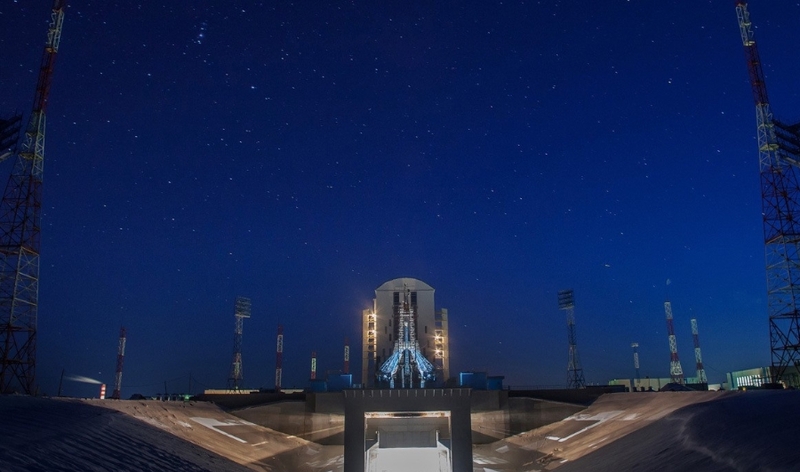 The Kanopus-V-1 satellite, launched from the Baikonur spaceport in 2012, still operates in orbit. 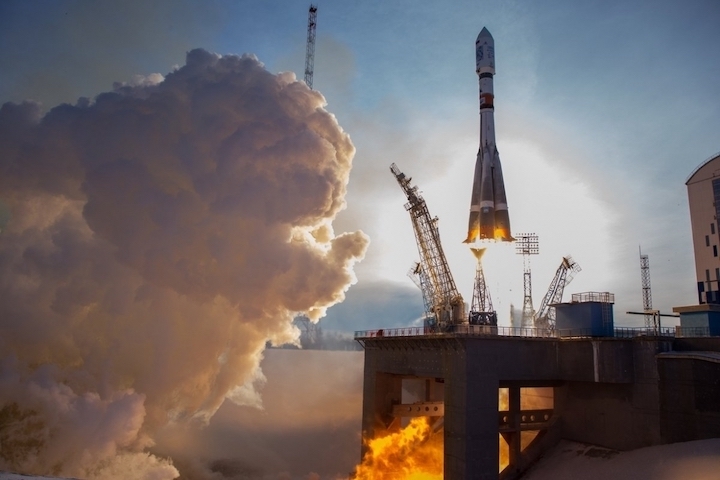 The Soyuz-2.1a carrier rocket with two Kanopus-V remote sensing satellites and 26 small foreign spacecraft has been launched from the Vostochny spaceport on Thursday, a TASS correspondent reported.